What time is it? TRX TIME. That's right. New TRX workout in the house! I always get so excited to share new workouts with you guys cause it gives me the chance to put on my creative hat. I bet you landed here because you either love the TRX as much as I do OR maybe you just want to learn what it's all about. As with ALL of my workouts, I like to give some background first, cause I'm nerdy and like to know the purpose behind things. In this post I'll tell you what the heck TRX is, who it's best for, and (of course) the workout! What the heck is TRX? Fun Fact: TRX stands for Total-body Resistance eXercise. Another fun fact: I just googled that. TRX is a suspension training system that forces you to rely on just your bodyweight for strength training, rather than weights and equipment. Essentially it's a couple straps sewn together and used for resistance training. The TRX workout and device was invented by a Navy Seal to keep his fellow SEALS in shape (that one I knew). This is easily one of my favorite pieces of equipment due to it's minimalist nature and ability to literally work ALL of your muscles, including your heart muscle (heyy, cardio). Plus you can take this baby anywhere. You choose the intensity by your foot placement/angle rather than changing dumbbells or adding plates. It's all YOU! Alright ya'll ready? Here are the deets. This workout is 4 separate circuits. I recommend completing 2-3 rounds of each circuit before moving on to the next one. Side note: I did 2 rounds each and it took me about 30 minutes. Like this workout? What are you waiting for! Go find yourself a TRX (Psst some knockoff brands on Amazon are just as good). Complete this workout, take a selfie and tag me in it on instagram (@fit.foundations). I've created some really great (and free resources for you) and they're all over on my resources page! 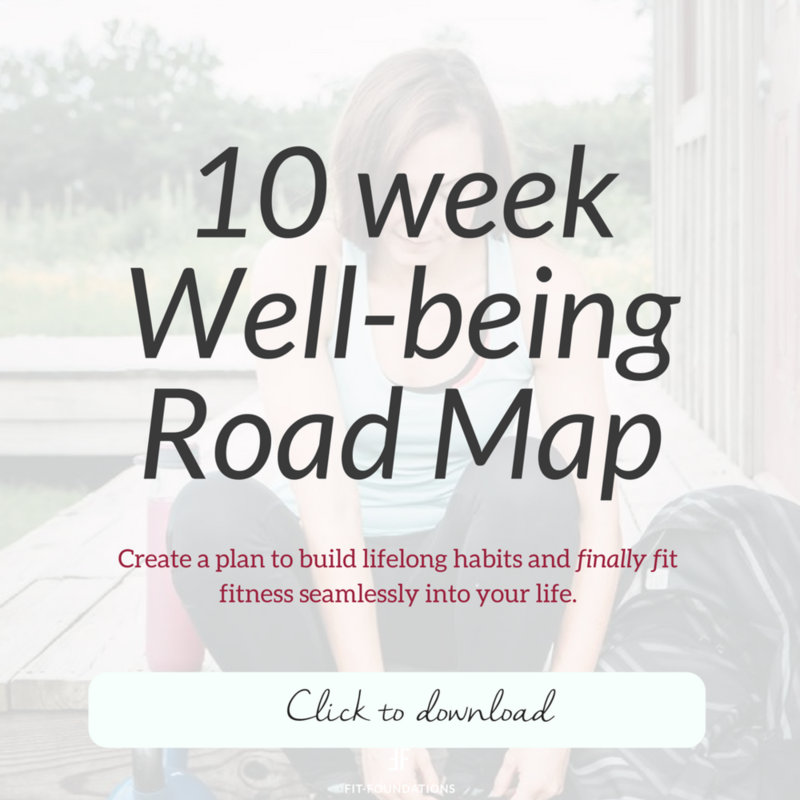 From my popular meal planning guide, at home workouts, and my latest 10 Week Well-being Road Map, I'm sure you'll find something to love!